To download a one-page PDF of the City of Eugene Resolution 4989 for choice, empowerment and human rights in mental health, click here. After a five-year process of public forums and committee meetings, the City Council of Eugene, Oregon, USA unanimously voted for a resolution on 26 October 2009 to affirm the human right of citizens to have more empowering choices in the mental health system, including more non-drug alternatives, for complete recovery. The resolution takes effect immediately (see text at bottom). The Mayor of Eugene, Kitty Piercy, has offered her personal encouragement to mental health consumers and psychiatricsurvivors during several meetings on human rights and mental health. To download a signed PDF copy of the resolution, click here. For City of Eugene two-page briefing with background about the resolution, click here. Resolutions by city councils throughout the world are fairly common on other topics such as peace and the environment. The Eugene resolution emerged from a process that began in 2004 when the City of Eugene Human Rights Commission voted to adopt the issue of human rights in mental health as one of their priorities, because of leadership by psychiatric survivor Hugh Massengill, who was then a commissioner. A special subcommittee on mental health and human rights headed by human rights advocate Carmen Urbina held two public forums and a major conference. MindFreedom Lane County members participated with many others, aided by City of Eugene staff person Francisca E. Johnson. The lengthy City dialogue led to other victories, too. The momentum led to the launch of an “Opal Network” in May 2007. Named after a famous Oregon author, Opal Whiteley, who ended up in a psychiatric institution, the quarterly meetings in the public library bring together all people and agencies who support the voice of mental health consumers and psychiatric survivors. The local cross-disability organization, LILA, especially staff person Bjo Ashwill, have especially been helpful in providing leadership for this innovative approach. Out of this grassroots process, involving hundreds of people’s input, the resolution emerged, but did not reach the City Council. Holly LeMasurier, a Human Rights Analyst for the City of Eugene’s “Equity and Human Rights Center” took up the job of coordinating committee editing, and the City Council vote was finally held on 26 October 2009. A RESOLUTION AFFIRMING THE CITY’S COMMITMENT TO HUMAN RIGHTS AND MENTAL HEALTH CARE. A. The City Council of the City of Eugene recognizes that the diversity of our population is vital to our community’s character, and that we have a long tradition of protecting and expanding human rights and civil liberties protections for all of our residents, including persons with all types of disabilities. B. U.S. Courts have affirmed a number of rights for people diagnosed with mental disabilities. At the national level, the right to choose to live in the least restrictive environment that is reasonably available has been affirmed. At the state level, a number of courts have affirmed a person’s right to refuse psychotropic medications, even when the state has a “compelling interest” in providing treatment, if less intrusive, effective treatment alternatives exist. These decisions are consistent with the principle that all people have the right to lives free of unnecessary restrictions and intrusions. C. Many people determine that psychiatric medications are quite helpful for their mental and emotional conditions, and are grateful to have the opportunity to take them. Others find medications to be harmful to their health, unhelpful and/or excessively intrusive and problematic. When people seek treatment and are offered medication as the only treatment option, they may feel coerced into choosing that option. Many of the medications currently provided are typically associated with significant medical risk, are often experienced as subjectively harmful, and their long-term effectiveness remains controversial. Furthermore, there are widely researched psychosocial alternative treatments likely to be at least as effective for many, with fewer harmful effects. D. Many mental health problems are caused by trauma and human rights violations, such as child abuse, war, racism, lack of housing and economic opportunities, domestic violence, and others. A key element in any kind of trauma is the denial of choice. When people who have been traumatized are denied choices in recovery, an effect may be retraumatization. E. Serious psychiatric disorder is often thought of as inevitably a permanent condition requiring a lifetime of medication, however research shows that a substantial fraction of those with even the most serious diagnoses do fully recover, eventually not requiring treatment. Treatment choices, designed to foster rehabilitation and recovery, which include working, living, and participating in the life of the community, have been shown to increase such recovery. Section 2. All mental health service providers within the City of Eugene are urged to offer a full range of choices designed to assist in complete recovery. Section 3. This Resolution shall become effective immediately upon its adoption. The foregoing Resolution adopted the 26 day of October, 2009. To Read a Guest Column Op-Ed by David W. Oaks, MindFreedom International Director, about the Resolution, published in The Register-Guard, click here. Todownload a one-page PDF of the City of Eugene Resolution 4989 forchoice, empowerment and human rights in mental health, click here. Todownload a PDF of the three-page actual, official signed City of Eugene Resolution 4989 for choice,empowerment and human rights in mental health, click here. Unite for more victories for human rights in mental health! 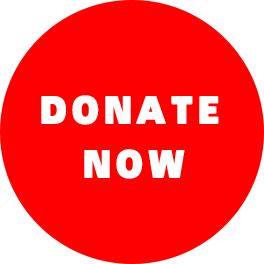 Join or donate MindFreedom International today! Click here to donate or join, now! For more info see “Related Content” below.